Alas, I did not enjoy my first Year in Books read, I am one of those people who likes tidy plots and I just kept wondering what the hell was up with Miles. I fought the urge to skip ahead until I finally just put the book down. Nevertheless, I did enjoy getting back to the practice of reading in bed. As it’s been snowy in New York and the roads are icy, I’ve been off my bike and have been riding the bus and subways which gives me another good block of time to immerse myself in a book. I’m following Laura’s (of The Circle of Pine Trees blog) lead of only purchasing books from independent bookstores, thrift stores or borrowing from the library. 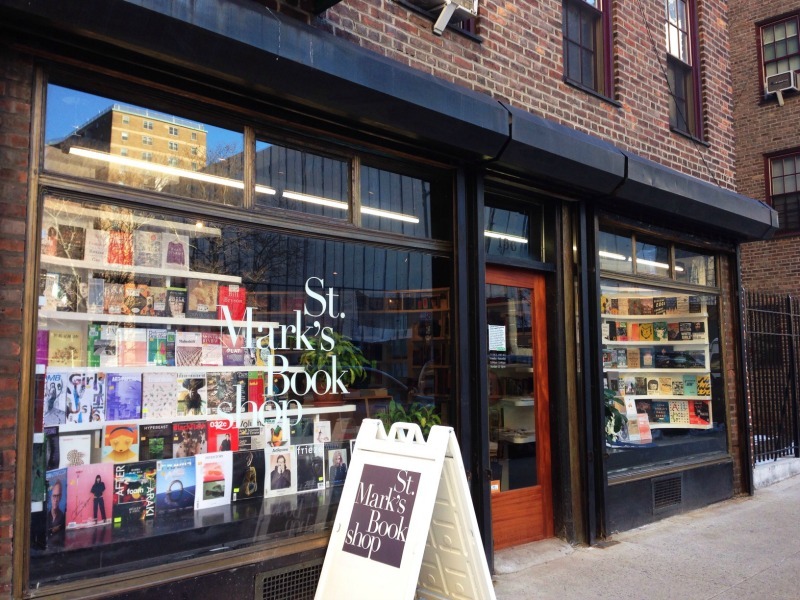 This month I sought my book at the Saint Mark’s Bookshop, a neighborhood institution. The relentless gentrification and “mallification” of my neighborhood almost claimed our bookstore on at least two occasions. Each time, the community rose up and closed ranks around the beloved bookstore, circulating petitions, fundraising and volunteering labor and services. 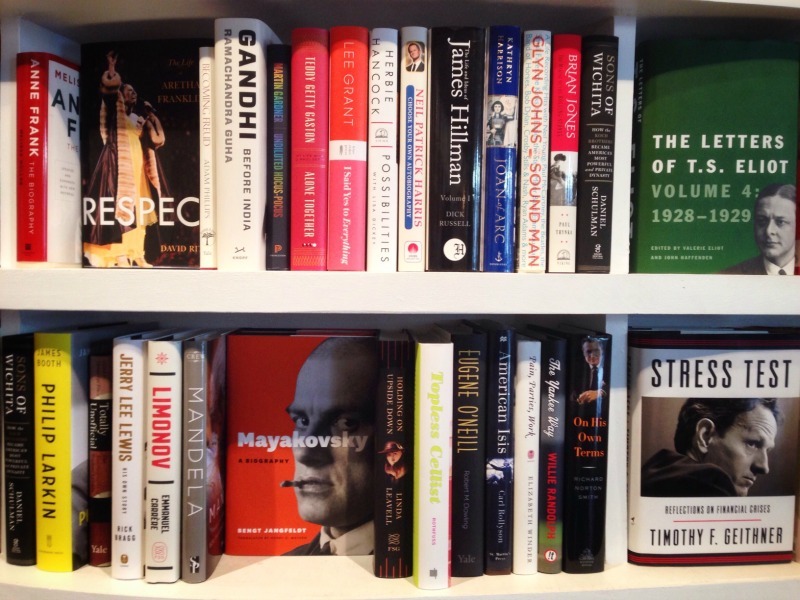 Read here and here for news stories about the battle for the bookstore. Saint Mark’s was eventually chased out by rising rents, but reopened in the neighborhood this summer. It is much smaller than the old store, but I think it is far more beautiful. The design by Clouds Architecture Office was a donation. 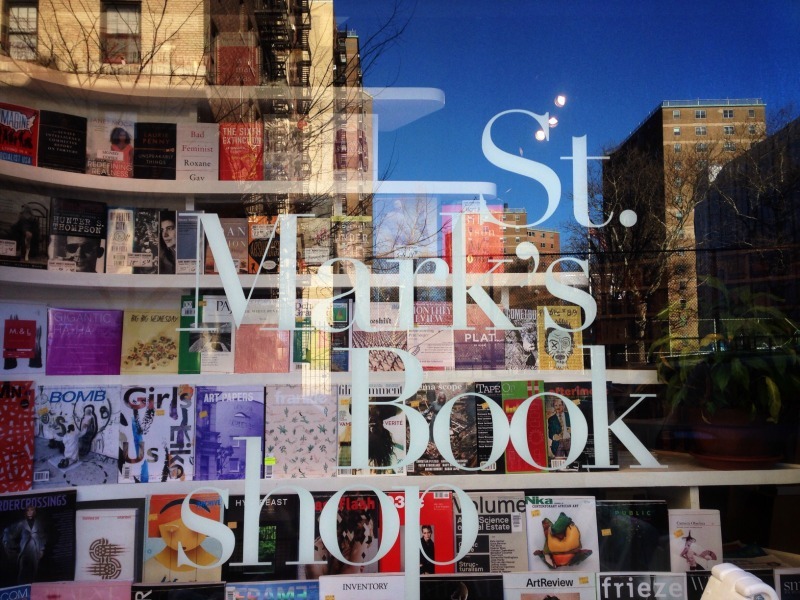 The existence of St. Mark’s Bookshop is a testament to the power of community. In my neighborhood bookshop, I picked up a book by a neighborhood author. 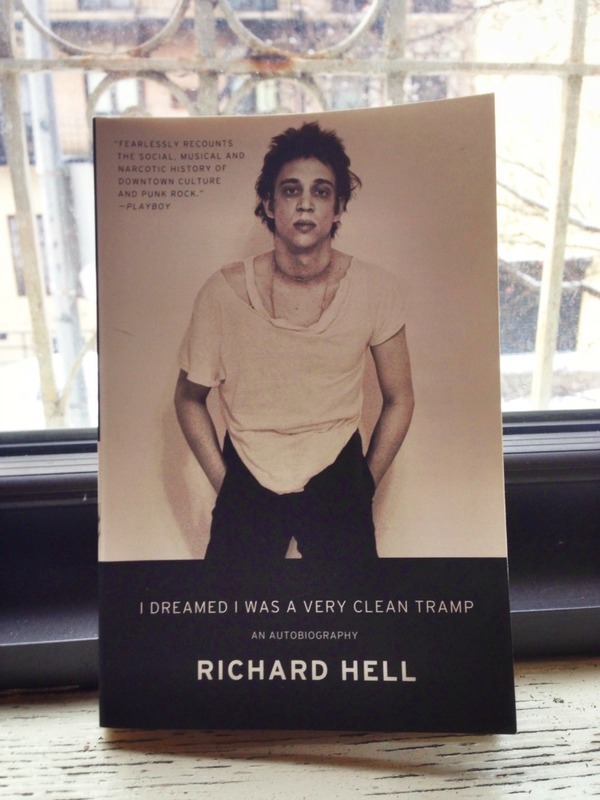 This month’s read is “I Dreamed I Was a Very Clean Tramp”, an autobiography by Richard Hell. A cultural history of the punk rock era in New York in the 70’s and 80’s, in which Richard left an indelible mark as a musician and a writer. This entry was posted in family life, loisaida - the neighborhood and tagged independent bookstores, independent bookstores new york city, richard hell autobiography, saint mark's bookshop, the year in books by ileana. Bookmark the permalink. This looks like a fun read! I look forward to reading your review. We have a tiny local bookshop in our neighbourhood I try to support whenever I can. It is nice to go and browse. Hi Christina, thanks for reading. I’ve started and so far so good.